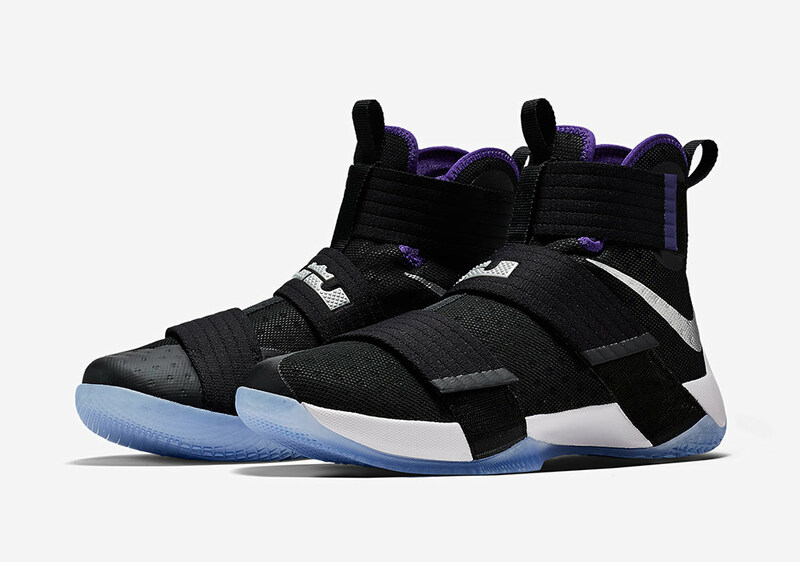 The NBA season is days away from tip-off and Nike Basketball will be unleashing a handful of team-inspired releases like this Nike LeBron Soldier 10 Sacramento Kings colorway. While the shoe actually has no official ties to the Sacramento Kings, the color scheme fits the bill for those Kings fans that want to represent. This Nike LeBron Soldier 10 features a full Black-based upper with Metallic Silver Nike Swoosh logos and “LBJ” branding, along with hints of White throughout. Giving it that Kings vibe is the Purple contrasting accents. Look for the Sacramento Kings-like Nike LeBron Soldier 10 “Court Purple” to release on November 25th, 2016 at select Nike Basketball retail stores. The retail price tag is set at $140 USD. UPDATE: Nike releases official images of this upcoming Nike LeBron Soldier 10 with a Kings-like color scheme. Look for them to release on November 25th.